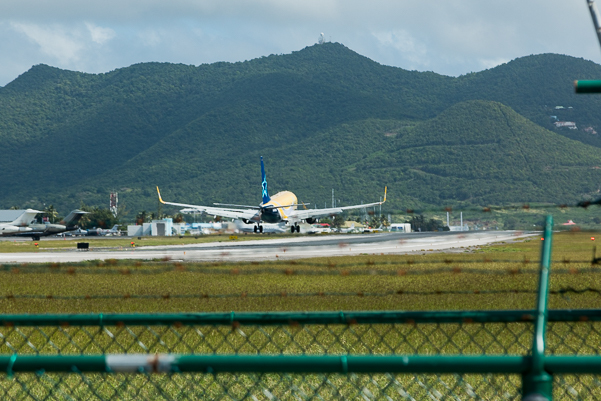 On March 07, 2017, WestJet 2652 was on approach and made a go-around short of the runway at Princess Juliana International Airport (SXM/TNCM) in St. Maarten. What followed has become a bit of a media sensation, with photos, an accusatory article, and video all making the rounds. Media sources that don’t usually cover aviation events have shared the “shocking” images with their readers and viewers, leaving them to draw their own conclusions about what they are seeing. This has mostly led to the public wrongly chastising the pilots for doing exactly what they should have done: abandoning an unsafe and unstable approach by going around. 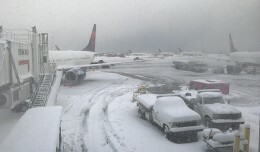 Most runways at major airports are served with an Instrument Landing System (ILS) that provides the airplane radio signals to align it with an extended centerline of the runway. The ILS also provides a 3 degree descent path, or “glide slope”, to the touchdown zone of the runway. Five miles out, the airliner will be laterally aligned with the runway, 1500 feet above the runway elevation, and descending at a rate of 700 feet per minute following the 3 degree glide slope at a speed of 165mph. The airplane will cross 50 feet over the threshold of the runway, and touch down on the runway approximately 1500 feet later. These landings are the simplest and safest, and on many runways, can be accomplished with the autopilot on all the way through the touchdown. The runway at St. Maarten is basically the same size as Laguardia’s runways, and like runway 31 at LaGuardia, it lacks an ILS. Pilots approaching SXM from the west will descend down to 600 feet above the water, and if clear of the clouds and with the runway insight, will resume a descent to the runway. Without the aid of the glide slope, pilots with use visual references including a multi-colored light beside the runway called a PAPI. The term “stable approach” is usually defined by each airline, and the airline instructs the crews to go-around if an approach is not “stable” by a specific altitude. Generally this altitude is 500 feet above ground level in good weather and 1000 feet in marginal or poor weather days. In addition, if an approach becomes “unstable” below this altitude, the approach is to be promptly abandoned and a go-around performed. The specifics of the term “stabilized” are defined by each airline. Generally it means the airplane is on the proper horizontal and vertical path for landing, the landing gear and the flaps are in the landing position, the speed is within a small range, and the engine power is in the normal range for that approach. 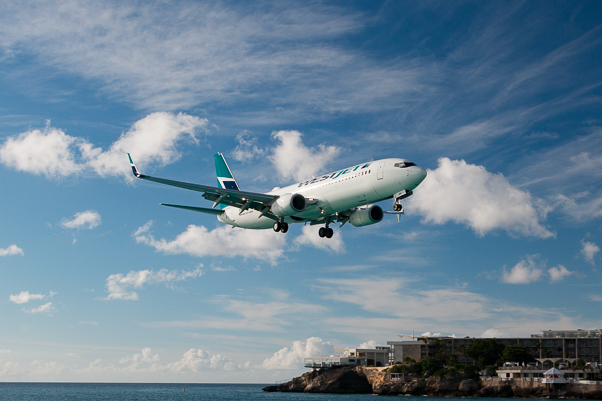 For a reason or reasons not presently known, the WestJet flight was too low on the approach. The crew did exactly the right thing, and followed their training and company procedure and went around, later returning to the airport for a safe landing. Realizing the problem or error, the crew did the safest thing and didn’t try to salvage the approach. What was truly dangerous about this event was the public reaction. 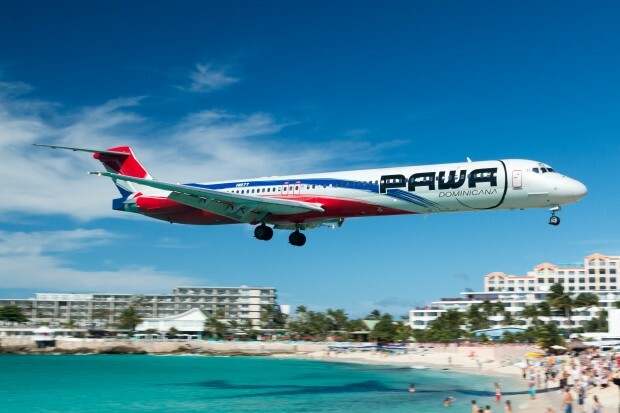 In addition to the public chastising these pilots for doing exactly the right thing, the public celebrates other photos and videos showing airplanes at St. Maarten leveling off just above the water and coming in at the same altitude as the WestJet flight, but continuing for landing. These pilots improperly are continuing with these high-risk, un-stabilized approaches and yet are hailed as adept pilots. 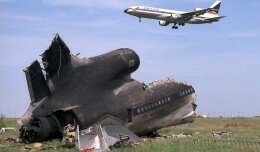 Continuing with un-stabilized approaches, and either neglecting to go-around or choosing to go-around only after the situation further deteriorates, places the airplane is a very high risk situation, as the information in the accident databases can attest. Asiana 214 was one of the most recent entries into this category. Currently WestJet management, its pilots, and Transport Canada inspectors are going through the information and data from this flight. With a just safety culture, all parties will have an open and constructive and forthcoming dialogue to prevent future occurrences. From this, information will be disseminated to the aviation community, training may be changed to address a problem, and pilots will be better informed and prepared if they are to encounter similar situations. After going around, the crew held for 40 minutes before retuning to land at 3:17 PM. The crew should be commended for the decision to go-around and returning to the field for a safe landing. Had they continued as many other pilots have, we might have been talking about the accident that occurred at 2:34 PM on March 07, 2017. 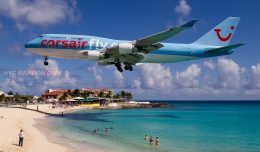 Because of what happened in St. Maarten, customers should have confidence in WestJet and not scorn. Welcome to the world of armchair specialists – and aviation spotters tend to be some of the worst, in my experience. No one on the ground was in the cockpit, and most of the people in the back of the plane likely have zero experience in flying an aircraft, especially a 737. Let the investigators do their jobs, and at this point, thank the crew for recognizing the situation and navigating out of it. hile I agree, a large majority of the armchair specialists here were not spotters, but instead were the news media types that ran with it. Sadly, it all started because an aviation writer got a hold of a photo and posted the sensationalist article. True – there was that aspect of it I forgot to cover in my post. Thanks for pointing that out Phil. First, there is no evidence of anyone making a mistake. More importantly, the issue here is really the “it almost crashed” sensationalism. It’s really a shame that Christine Negroni decided to write that article about “an accident that almost happened (but didn’t)” because it’s nothing more than fear-based click-bait. Her fear-mongering article is the only reason why this is “news,” and it perpetuates misinformation by cherry-picking the most terrifying imagery for the flying public to read about. Taking random quotes from an unnamed pilot as a source is shameful enough, but referencing aviation accidents without full context is downright lazy and irresponsible. What purpose does it serve other than to spread fear for more views? For what it’s worth, Lion Air 904 crashed precisely because its pilots waited too long before going around. More than anything, its accident is exactly why the WestJet pilots should be commended. David, your readers certainly appreciate your nuanced understanding of the decision making that goes on in the cockpit of a commercial airliner. I appreciate it too. Its a subject I write about extensively in my new book, The Crash Detectives. What’s missing from your story, however, is recognition that a good outcome is not evidence of good decision making. Why the pilots were too low is not something I can explain nor did I try to. Perhaps there were weather issues, instrument issues, training issues, etc. 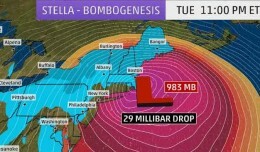 Whatever, is important that WestJet get the answers to that question so that future events like this can be prevented. 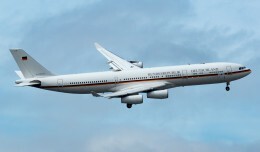 It is only because the flight was captured by a photographer that the airline was forced to admit the flight was too low on approach. Until that time it insisted the plane was never below 500 feet. Did its initial denial serve the interest of air safety? Applauding the pilots for doing the right thing is fine. I did the same in my stories. What got the crew so close to the water in the first place needs examination. And now it seems the Canadians and WestJet agree. so you *start off* with an advert for your book, nice! Gotta get them views! I could dissect this reply point for point but that’s the attention you want. Your article was just click bait, nothing wrong with it, just go ahead and admit it. Because trying to justify slandering a common safety procedure by mislabeling it, a safe airline, and two professionals is just silly. If Westjet claim this flight was never below 500ft then that was misleading because the B738 has a wingspan of 117ft 5in. Clearly from the video it was less than a wingspan altitude above the sea. Lion Air 904 undershot into the sea exactly the same way. To say that it was an understandable mistake, is short change. How are we supposed to UNDERSTAND if it is not scrutinized or taken seriously? Yes the crew acted correctly to arrest the descent and go-around. Was there a risk? Well yes there was otherwise they would not have gone around. Every pilot has done it and these guys had the misfortune of an audience.